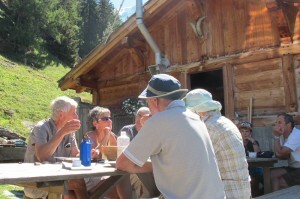 Blaitière mountain pastures – a goaty greeting! 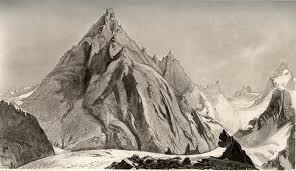 Blaitière mountain pastures are located beneath the Aiguille de Blaitière, on the north facing side of the valley. This pasture land was exploited by peasant farmers from the middle ages up until the 1950′s. The land and farm buildings were then pretty much abandoned until the turn of this century. 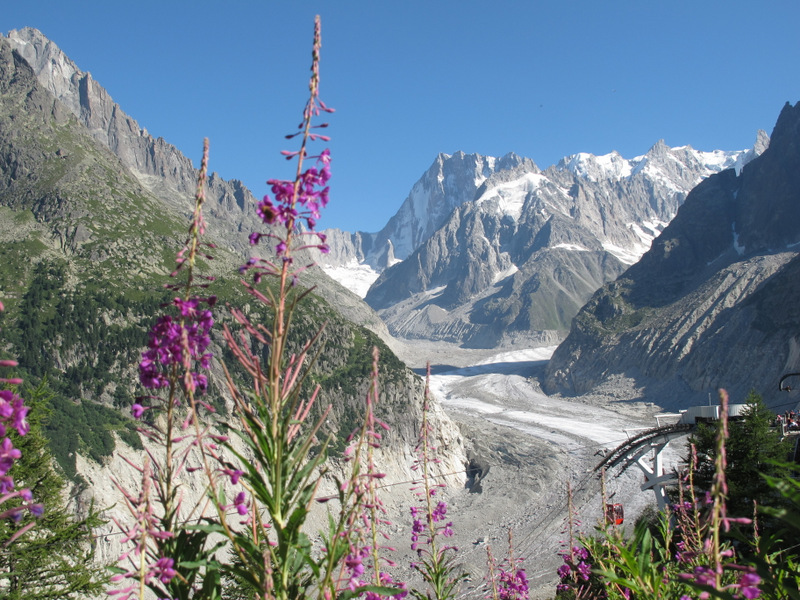 Lower Blaitière is situated at 1708 m altitude and Upper Blaitière at 1920 m.
These alpine pastures can be reached from Chamonix (Grepon car park) in between 2h to 3h (lower and upper Blaitière). Alternatively, take the cable car to Plan de l’Aiguille and you have an easier traverse and then downhill walk – 1h à 1h30. 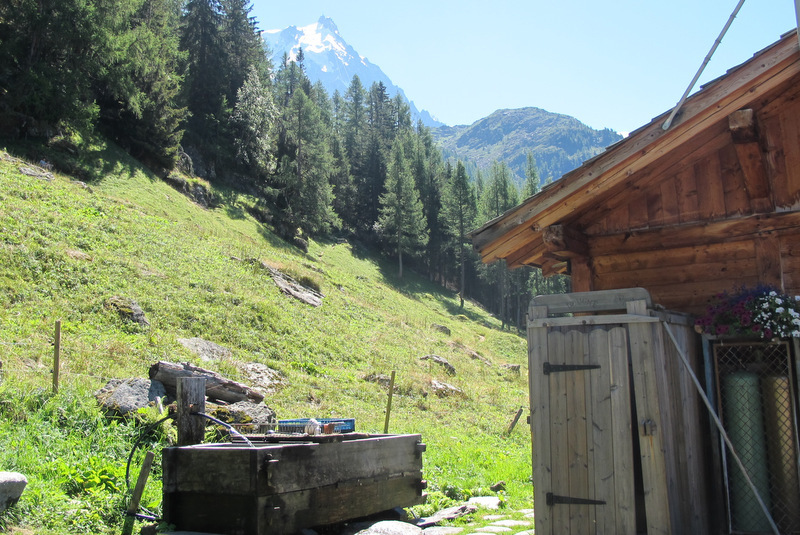 Since 2000, Pascal Payot has been partaking in the restoration of the farm buildings and the pasture land with a view to reviving mountain farming in the Chamonix Valley. Blaitière was grazed by young heifers between 2001 and 2006 and goats have been unwittingly improving the quality and biodiversity of the pastures since 2007. In the summer of 2008, with the help of the municipality, the ‘alpage’ was finally equipped with a milking parlour and dairy. 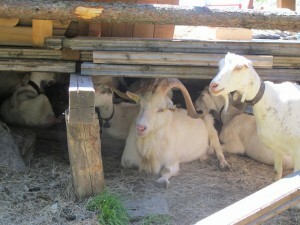 So now you can buy your goats cheese straight off the mountain! 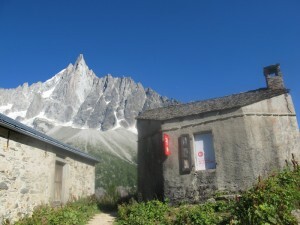 Since 2005, the buildings at lower Blaitière are supplied with solar energy. An installation of 26 photo voltaic panels provides 80% of the power needed for the farm. The most recent innovation is a mini cable way between Chamonix the Alpage with a capacity to transport up to 400kg. The 700m elevation from the valley floor is covered in 15 minutes. Pascal no longer relies on supplies by helicopter and his cheese production finds its way to local restaurants and shops on a regular basis! If you can’t make it to Blaitière this summer, make sure you visit Pascal Payot at his farm in Les Houches . He serves delicious high teas and will be delighted to introduce you to his goat family and tell you a bit about his work and passion. The Temple of Nature was built in 1795 and represents one of the very first refuges in the Alps, located at 1913m altitude, overlooking the Mer de Glace. 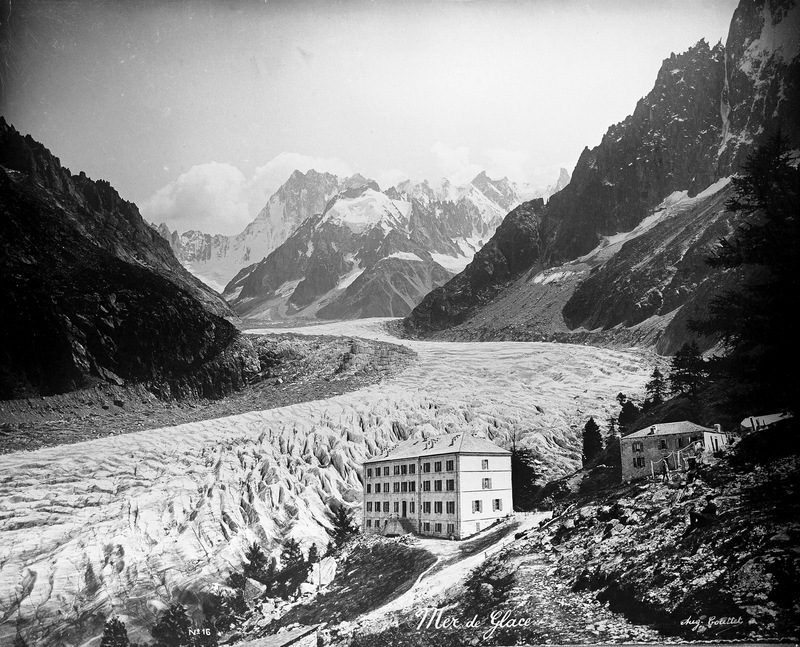 This octagonal shaped building of great historical interest, replaced a rudimentary stone construction which was built by the English gentleman Charles Blair, in order to offer a protection to the first visitors to the Mer de Glace. The Temple of Nature bore witness to many illustrious visitors during the late 1700′s and early 1800′s before the first hotel was built in the 1840′s. 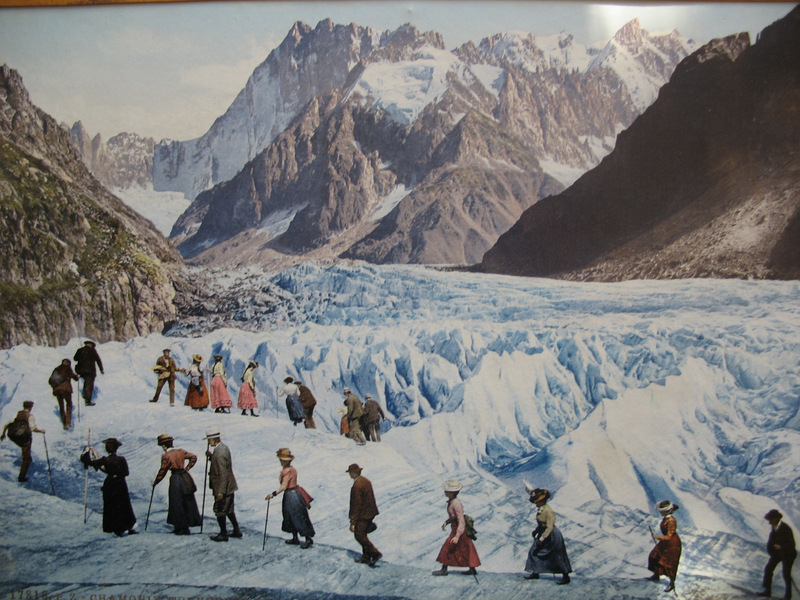 Artists, authors and scientists were inspired by the majesty of the site and not least Mary Shelley, whose visit with Byron in 1816 led to Dr Frankenstein and his monster meeting upon the Mer de Glace! The emperess Josephine de Beauharnais took shelter in the temple in 1810, the emperess Marie-Louise of Austria in 1814, Charles Nodier and Victor Hugo in 1825, Alexandre Dumas is 1832, John Ruskin in 1835, Georges Sand and Franz Lizt in 1836, and so it goes on! The Temple has now reopened to the public and an innovative optical theatre takes visitors on a trip into the past where they will meet the likes of Forbes (the Scottish geologist), Chateaubriand, Louis Pasteur and Agutte the artist. The Montenvers was first visited in 1741 by William Windham and Richard Pocock, 2 Englishman who compare the glacier to a ‘Sea of Ice’, hence the name “Mer de Glace”! 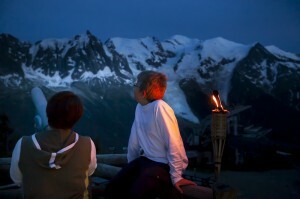 This event marks the beginning of tourism in the Alps. Over 100 years seperate the first mule trail and the project to build a cog railway which finally saw the day in 1909! The magnificent Montenvers hotel and restaurant was built in 1880 and conserves a bygone charm which delights today’s visitors. In 1885, the site welcomed 12 000 visitors, essentially arriving by mule! At the time 380 guides and mule owners (along with 200 mules) were kept very busy throughout the summer months. Times change, the glaciers are receding at present, but the majesty of this unique site is still there to inspire us! From Friday 9th August until Sunday 11th August – the first edition of an eco-friendly festival which celebrates music, art, cultures and traditions from around the world. The Croisée des Chemins” Festival was conceived by Jacky Canton Lamousse, who took his inspiration from the Desert Festival in Timbuktu, Mali. Jacky was profoundly moved by the spirit of the “Desert Festival” and its capacity to unite 54 nations in a subliminal musical communion! From the desert to the mountains… nothing crosses borders nor travels more easily than music! And what better mountain location than the Chamonix Valley to host this international gathering. 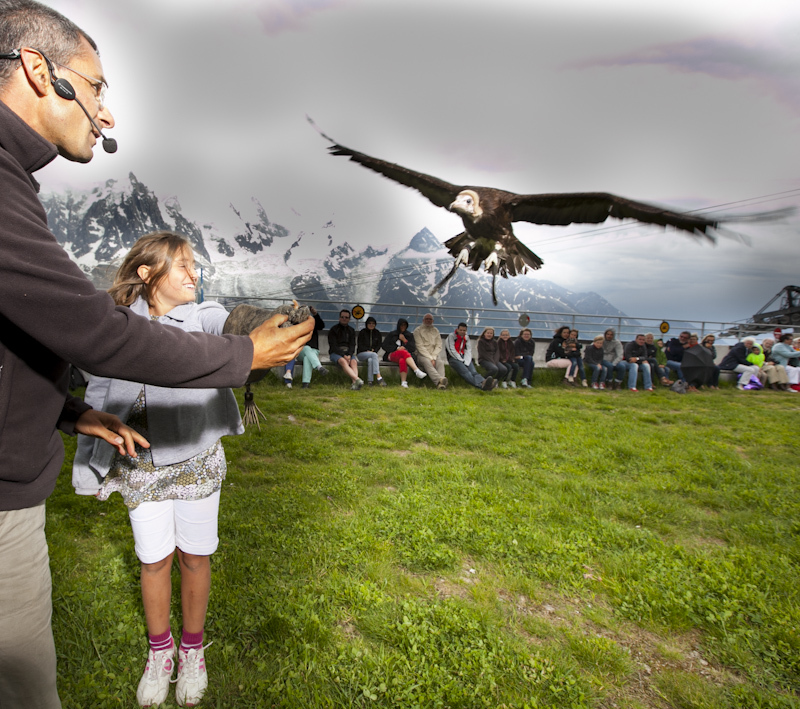 Practical information: All concerts are free of charge excepting the access to Prarion cable car (if you don’t want to walk up) and the entrance to Merlet animal park. Festival Badge: You can support the festival by purchasing a badge for 10€. This gives you free access to Merlet, 50% reduction on lift ticket to Prarion and 30% reduction on drinks at Prarion mountain restaurant. Badges available at the Chavants village or at Les Houches tourist office. Festival Croisée des Chemins – teaser #01 from Godefroy de MAUPEOU on Vimeo. A unique nocturnal demonstration of falconry! 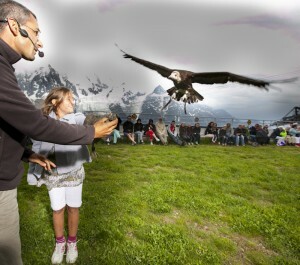 A rare opportunity to dine in the mountains, facing one of the most beautiful panoramas in the Alps, whilst being entertained by a professional falconer and his birds of prey. Detail: Privatized cable car, aperitifs on the terrace, barbeque dinner including starter, main course, dessert, wine and mineral water. 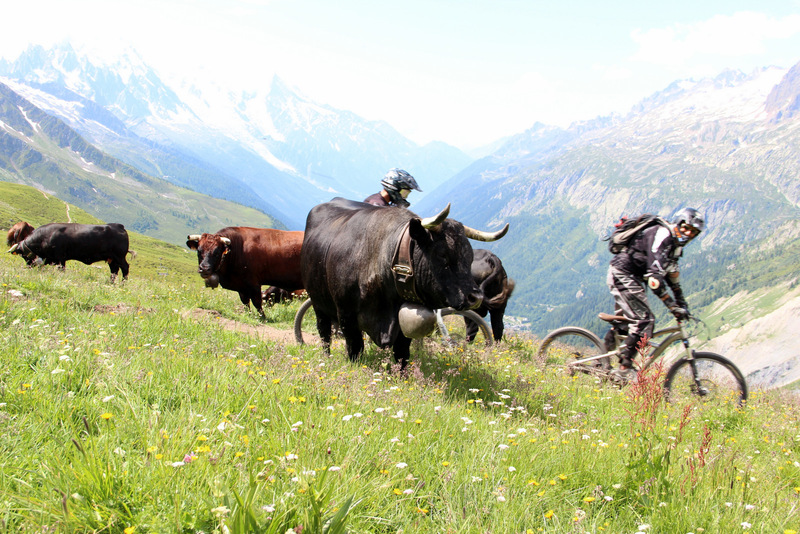 4 km blue run, 640 metres altitude difference, an exceptional natural environment and variants for expert bikers. Bikers and beauty queens rub shoulders! On certain trails you may be cohabiting with hikers – please always give them priority! Respect pedestrians, cows, sheep, goats, mountain flowers etc… and have fun. 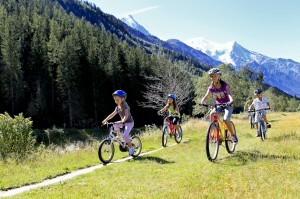 Transport within the Chamonix Valley is free of charge. Certain buses and trains are equipped for bike transfer. 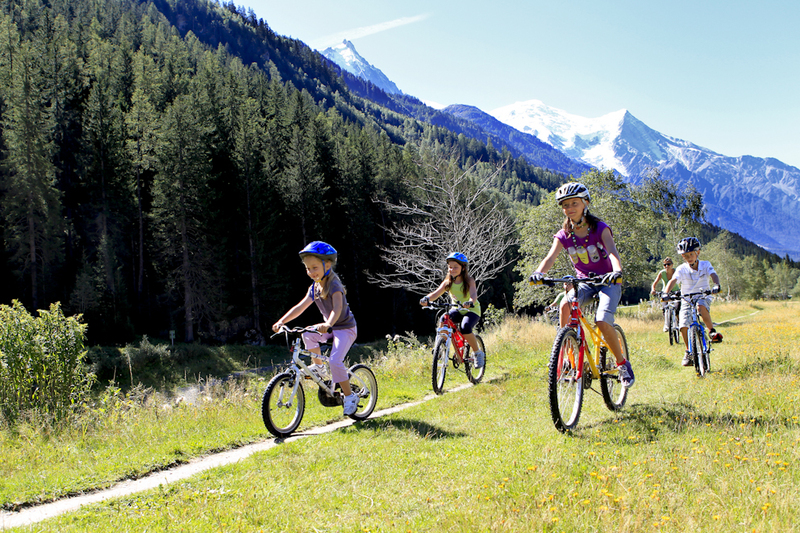 Please check timetables with one of the Chamonix Valley tourist offices or visit our website. Please also ask the tourist offices to the Mountain Biking trail map. Don’t forget that you can also hire electric bikes from the tourist offices. See previous article. 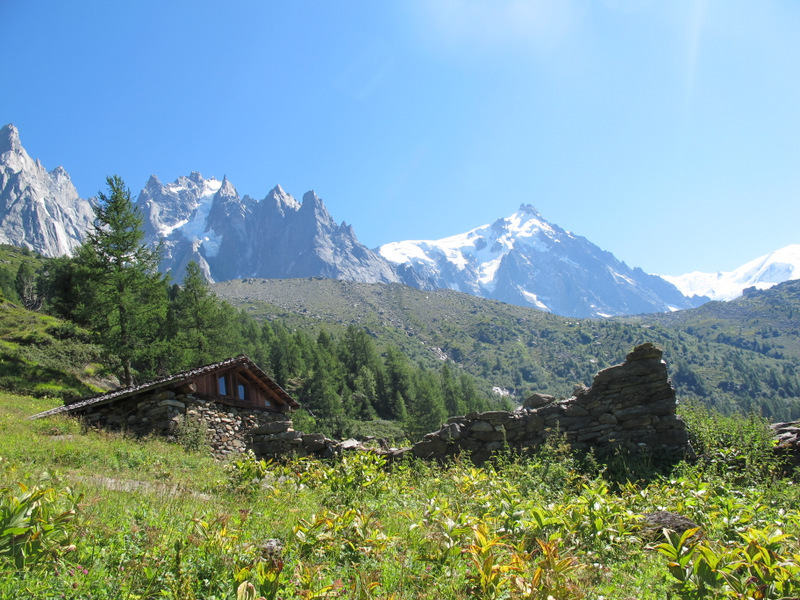 This new blog is dedicated to all those who love the Chamonix Valley and want to find out more… Don’t hesitate to share your Chamonix stories with us too! Queen of the Alps, black beauties! The Socrates project – Who are the Sicads? Sunshine and Spas – cool tips for hot days! The Cosmo Jazz Festival – a phenomenal success! Creameries in the Chamonix Valley – Gentle walks, steeped in history! The UCPA holiday centre restored to glory!